Bring the Bard's works to life in this three-dimensional expanding pocket guide, which unfolds to a length of 1.5 metres. The first side features Shakespeare's most famous plays including Hamlet, Twelfth Night, Romeo and Juliet, Midsummer Night's Dream, Macbeth and Henry V. The second side features the most important places in Shakespeare's life, including the house where he was born in Stratford-upon-Avon, Anne Hathaway's Cottage, Mary Arden's Farm, Nash House, the Royal Shakespeare Company and the Globe. 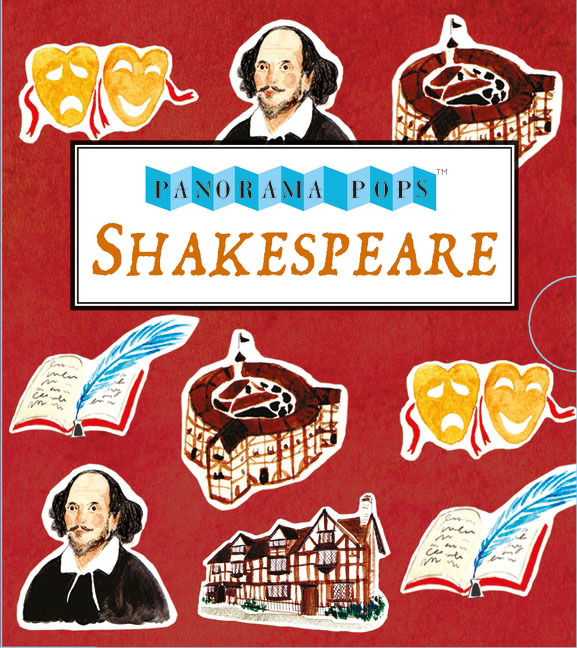 Beautifully illustrated and presented in a slipcase, this is the perfect gift or souvenir for Shakespeare lovers of all ages.